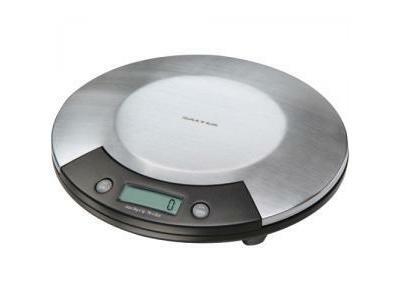 Salter Housewares 1015 Electronic Kitchen Scale is modern in design and advanced technology, but classic in quality and workmanship. This scale is designed for easy use and easy clean-up. The Stainless Steel platform gives this electronic scale a clean look that will add class to any kitchen design. This scale can measure in standard and metric and is designed with an auto zeroing feature.